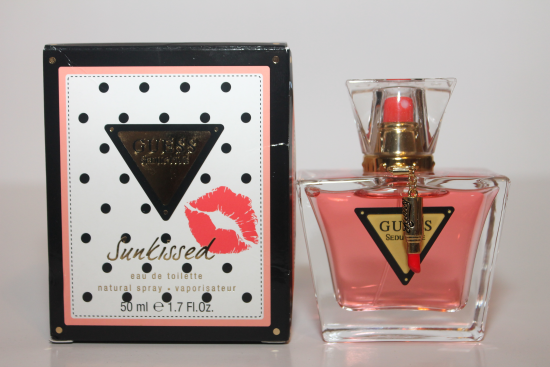 Guess recently introduced their new limited edition seductive fragrance "Sunkissed". It's a revamped twist on their original Seductive fragrance and is the perfect accessory for summer! The refreshed summer-worthy scent is guaranteed to make you smell delicious as you bare that gorgeous skin. What's unique about this fragrance is that during the day it has top notes of pear, raspberry, black currant blossom and pink grapefruit dawn. During the afternoon it winds down to seductive mid notes of jasmine, Brazilian orchids and vanilla. And at night sensual base notes of musk, teide violet and macassar ebony. Glow: It's always kinda hard for me to do fragrance reviews because I never know how to really describe the scent as well as I'd like to. I'll start with the packaging, I absolutely love when brands take the time to put actual thought behind the way their products are packaged and designed. I think the little lipstick charm around the top is too cute! The scent is really light and sensual, what I love most about it is as it starts to wear throughout the day the different notes start to bloom! Glare: I honestly have no cons, it smells great and the bottle isn't awkward it's cute and compact. 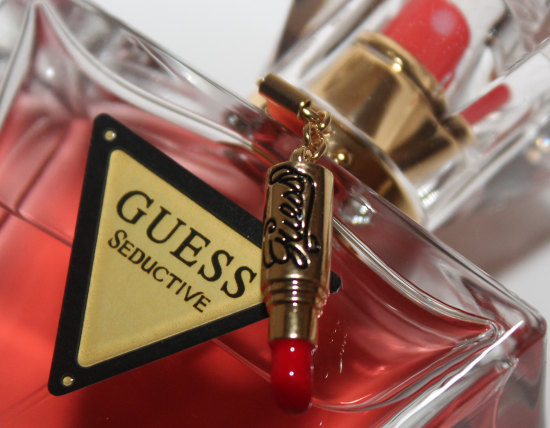 Where To Buy: Guess Seductive Sunkissed Fragrance currently retails for $52 and is available worldwide at Guess retail stores, perfumery chains, department store and www.guess.com. 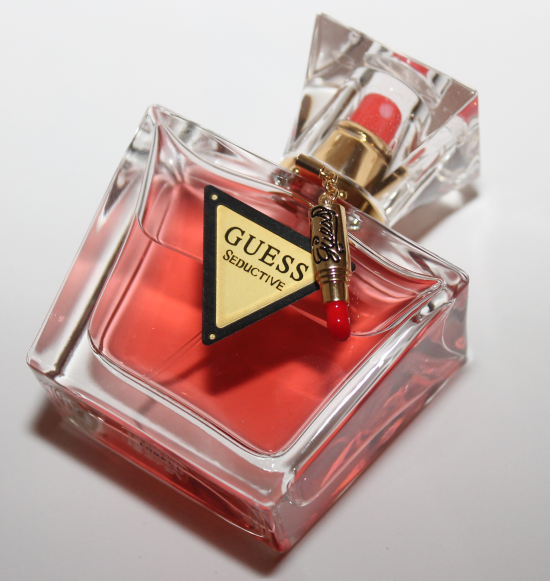 Please visit www.guessparfums.com for additional information on the GUESS fragrance collection.